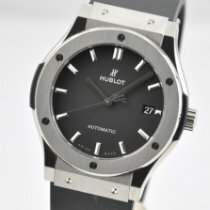 Just in, a Hublot Classic Fusion in titanium, model reference 511.NX.2611.RX. A 45mm diameter polished/satin titanium case watch with opaline dial, centre seconds and date at 3 o'clock, sapphire case back, rubber strap with folding clasp. 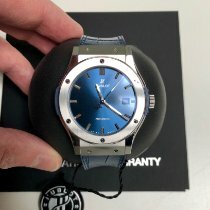 Supplied with Hublot box and warranty card.